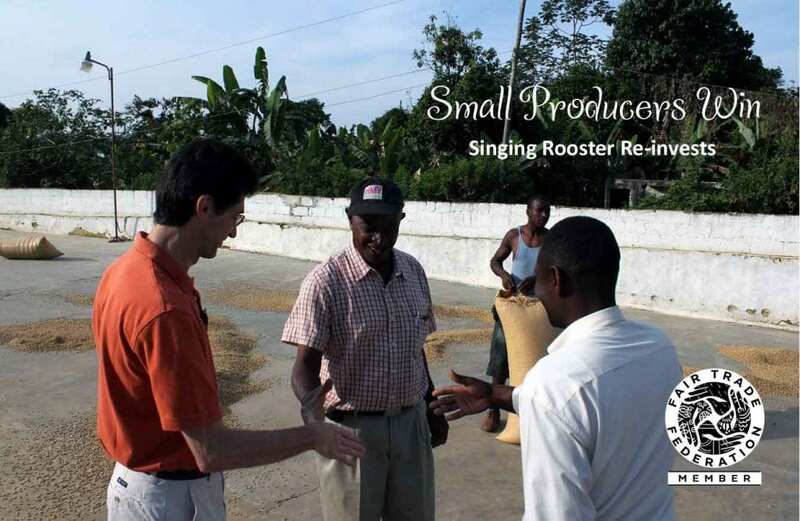 We’re Singing Rooster – a social enterprise nonprofit partner of small producers in Haiti. We’ve been working with coffee farmers for years and began working with Haiti’s cocoa producers in 2015. You’re a chocolate enthusiast & understand the importance of something unique. We’re establishing long-term relationships with bean-to-bar artisans by connecting them directly with farmer producers through our work. Win-win. 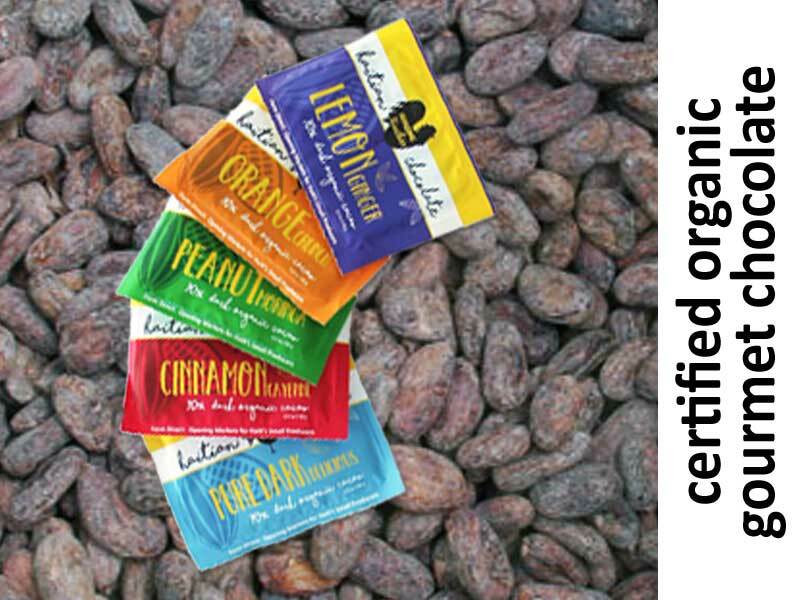 Order a 3 pound sample or a 120 pound sack of Haitian raw cacao. We sell raw cacao beans to chocolate makers big and small. Purchase a few pounds of Haitian cacao here. Our Haitian cacao is rare – nutty, fruity, essence of chocolate cake. These beans are beautifully fermented & will only get better with assistance: grainpro storage (the first thing we did), regenerating old fields, launching seedling nurseries, advising farmers on equipment upgrades, and training in small business management. These beans are smaller than what you’re probably used to and well fermented. The sheer mellowness of the bean is surprising. At 70% cacao, it has the qualities of milk chocolate. Velvety. Smooth. Low acidity. Fruity! 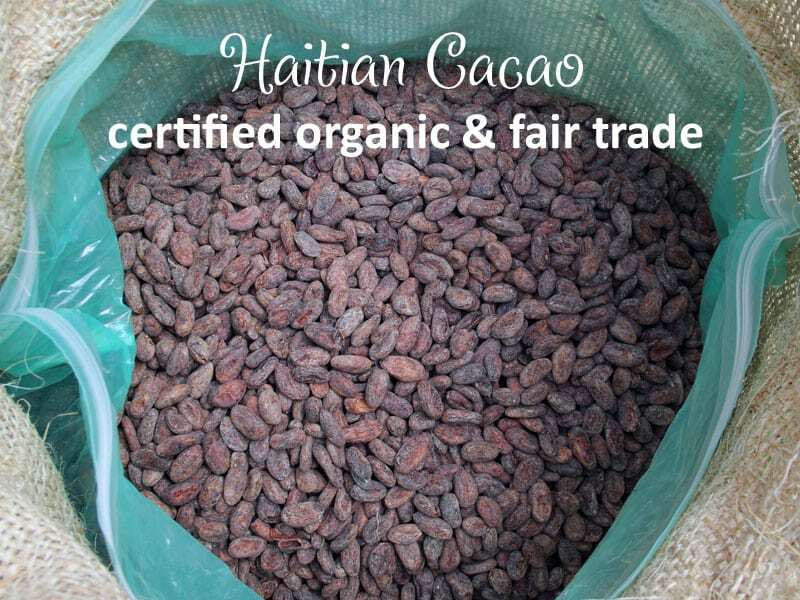 Buy a sample of Haitian cacao. We put 100% of proceeds towards building better producer businesses in Haiti. By adding Haitian Chocolate to your arsenal – you’ll leverage our good work, and your customers will appreciate your commitment to farmers. Roasting Profile : Roasting is an artful science. These beans show a broad range of flavor potential; roasting becomes a balancing act to coax the flavors you most desire. Lighter / bean surface temp 240 = floral notes – experiment with a hotter and faster approach when roasting Haitian lighter. Medium Roast / bean surface temp 255= toasted oat and red fruity currant with a hint of hazelnut – experiment with a Goldilocks approach: not too hot, not too cold, not too short, not too long when roasting Haitian medium. Darker Roast / bean surface temp 265 = a majority of our feedback is a preference to roast Haitian dark. 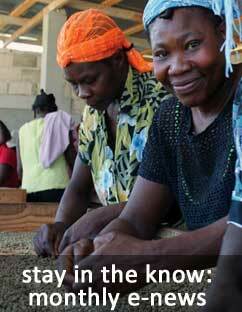 Haitian cacao can take the punch of a dark roast without developing undesirable acrid or burned flavors. Classic but complex flavors with hints of licorice, chocolate cake and marshmallow. Some chocolate makers report fruitiness increaseing with darker roasting. When roasting dark, experiment with using a cooler and slower approach while reaching a bean surface temp ~ 265. Do experiment: Take a trick out of the coffee roaster’s playbook & try mélanging roasts (mix lighter & darker roasts together) to maximize flavors of this versatile bean. Lighter roasts reveal bright fruity highs but tend to be more bitter/astringent like an unripe strawberry or nut skin. Balance those out with a second and third, darker roast which pull out hazelnut, chocolate cake, licorice and marshmallow as well as tame astringency. For our own chocolate bar line, we settled on a 70% bar (11% cocoa butter). Our plain chocolate bar is the most popular but our lemon-ginger is a close second. Want to taste our chocolate bars? Buy Haitian chocolate online.